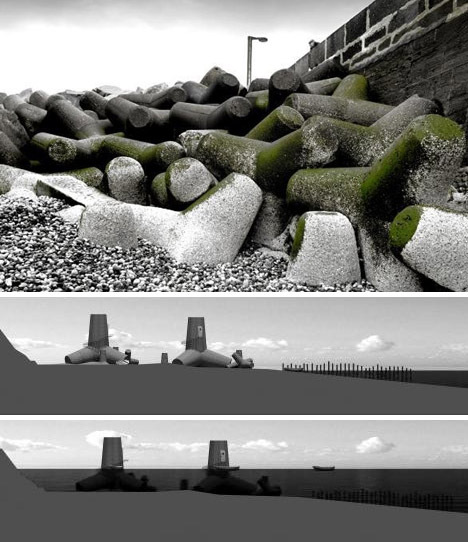 Consciously or otherwise, architects constantly borrow inspiration from their surroundings – sometimes plants, animals and the natural environment, but other times from strange man-made objects like the four-legged concrete tetrapods used by coastal engineers to break up incoming waves, reduce soil erosion and infrastructure corrosion. 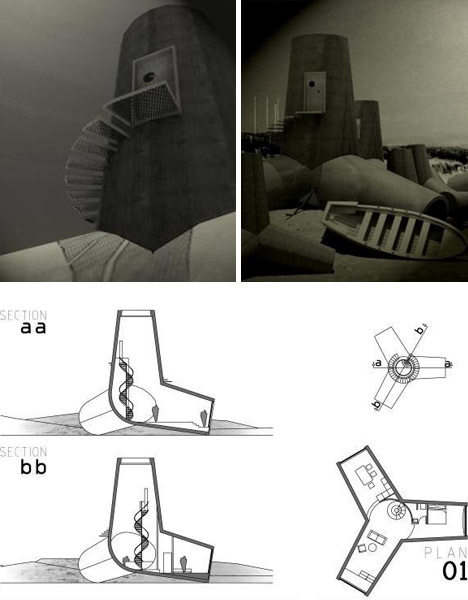 These simple shapes were once patented property, but are now free for anyone to use – including cities threatened by sudden tsunamis or industrial-oriented designers like Hugon Kowalski, compelled by their physical properties and unique structural potentials. In his architectural version, these giant-sized variants contain four spokes radiating out from the center. The tapered cylindrical shaft facing upward serves as an above-water entrance (except in emergencies, when it must be sealed from inside if submerged). The other three act as master bedroom/bathroom, kitchen and living room. 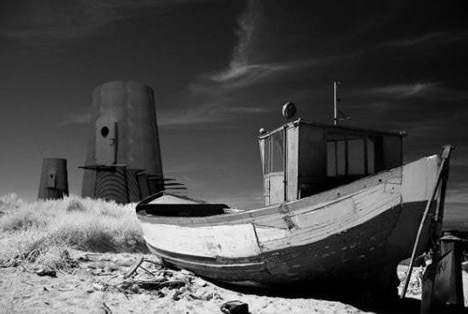 Though a fascinating formal tribute to this long-used seaside shape, there is a limit to which these same principles are usefully applied to a dwelling. 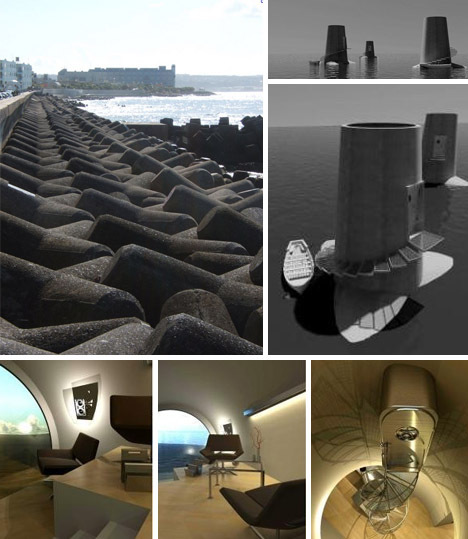 Tetrapods traditionally roll over time and are tracked between tides to determine changes in position – these residential designs are made to remain upright, and barring some gyroscopic system in their center would not help someone survive such shifts.